"Brule, there is no such thing as time, nor space; for I have traveled the longest journey of my life, and have lived countless millions of years during the striking of the gong." Vikings, pirates, heroes, rogues, and explorers . . . all have heard the siren call of the sea, and master storyteller Harold Lamb chronicled some of their most daring exploits. 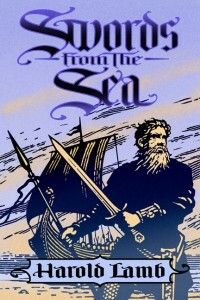 This single volume contains all of Lamb’s historical seafaring stories, drawn from rare and fragile pulp magazines. Never before collected, these short stories and novels are a treasure trove of adventure. Best known for his stirring tales of Cossacks and crusaders, Lamb was no stranger to swashbuckling, and his sea stories deliver it in buckets. Adventure was considered the most prestigious pulp magazine in America. It was the very best that the pulps had to offer. And the very best author in Adventure was Harold Lamb. 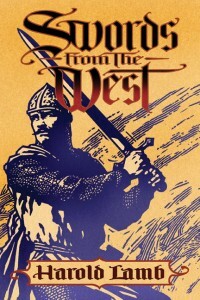 I have been waiting for Swords From the West (or something very like it) for a long time. A massive book (over six hundred pages) bursting at the bindings with tales of conflict and courage, all sprung from the masterful pen of Harold Lamb. What may be surprising is Lamb’s unprejudiced eye when portraying non-Western peoples. Lamb’s Mongolians and Arabs are painted with the same insight into motivation as his Western protagonists. He takes no shortcuts via stereotype: foreign does not necessarily equate with evil and villains can be found on either side of the cultural divide. Two new books collecting Harold Lamb’s pulp adventure fiction are on the horizon and I could not be happier. 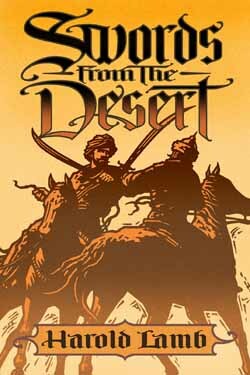 Swords From the West and Swords From the Desert are slated to thunder into bookstores this September, courtesy of the Bison Books imprint from the University of Nebraska Press. Scott Oden (who wrote the introduction for Swords From the Desert) and Morgan Holmes have both weighed in on their respective blogs. I thought I would toss in my two debased dinars. Howard Jones, Managing Editor at Black Gate and the major Harold Lamb scholar working today (see his website dedicated to Lamb), has announced on his blog that the four volumes of Lamb’s Cossack stories published by the University of Nebraska’s Bison Books imprint have sold well enough for Bison to agree to publish a further three volumes of Lamb’s best work. For those of us who have enjoyed the Lamb books Bison has published to date, this is great news. 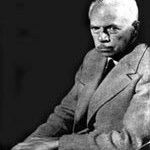 Harold Lamb was one of Robert E. Howard’s all-time favorite authors, a regular in top-tier pulps like Adventure as well as many other popular magazines of the day. He was also a scholar of barbaric times and cultures, and his many biographies and histories remain valuable. Just a few months back I heard popular radio talk-show host Michael Savage off-handedly recommending Lamb’s biography of Genghis Khan to listeners, a tome I myself recently found at a used bookstore’s going-out-of-business sale. 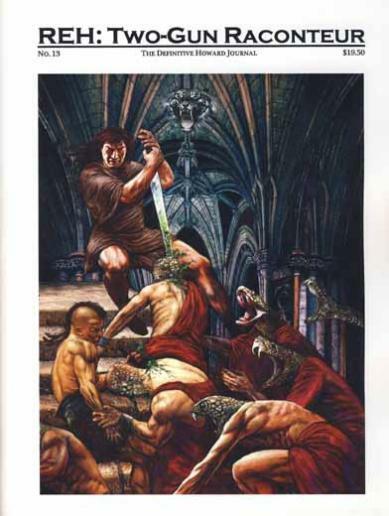 Reading Harold Lamb’s work today, one can see why REH was so taken with his writing. While he lacks the primal fire and prose poetry that fuels Howard at his best, Lamb was the superior plotter, expertly utilizing the pulp template to lace his thrilling tales of warfare and derring-do with enough twists and turns to make a Stygian wizard’s head spin. 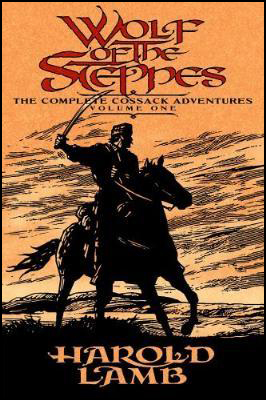 His stories about the elderly but still feral Khlit the Cossack struck me as a shadowy glimpse into how Conan might have looked and acted at that age, had Howard ever gotten around to writing about his twilight years. Jones promises that the three new volumes will contain much of Lamb’s very best work. Crusader yarns, Mongol stories, Viking tales. Robert E. Howard fans who value books like Lord of Samarcand will have a lot of fun with Lamb’s breakneck pacing and deft evocation of the Middle East during the Middle Ages. These days it’s all too rare to find and enjoy pulp pleasures of the kind offered by writers like REH and Lamb. meaning collected short stories that can be leisurely read, one per night, over a glass of wine — the perfect sedative to a hard day spent at the office. So if you haven’t yet, pick up the four Cossack volumes, and keep an eye out for the next three. REH adored these tales, and you will too.